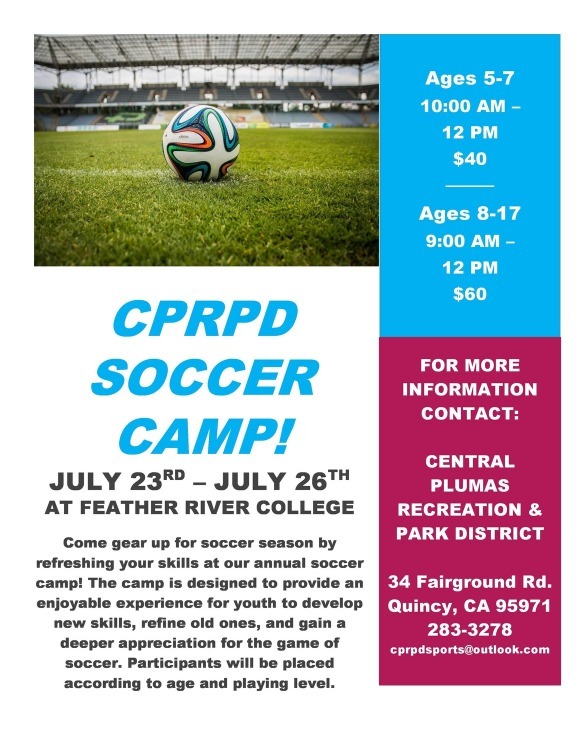 Central Plumas Recreation and Park District - Soccer Camp Approaching Quickly! Register on the "Programs & Activities" page, or in person at the District Office. See you out there! Adult Softball Season Begins Soon! Youth Basketball (K-2) Clinic Sign Ups!